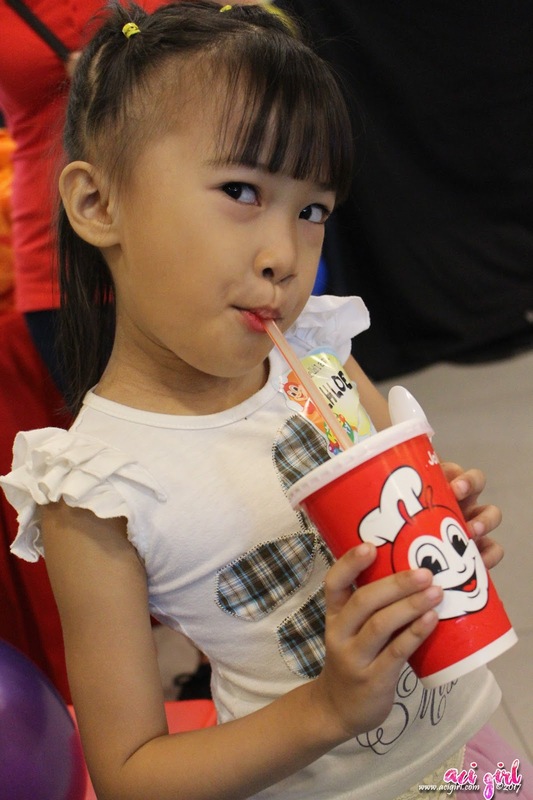 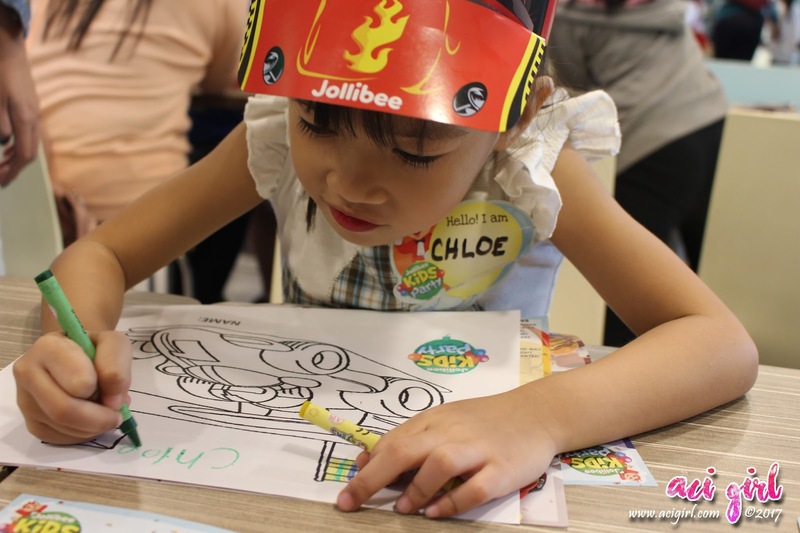 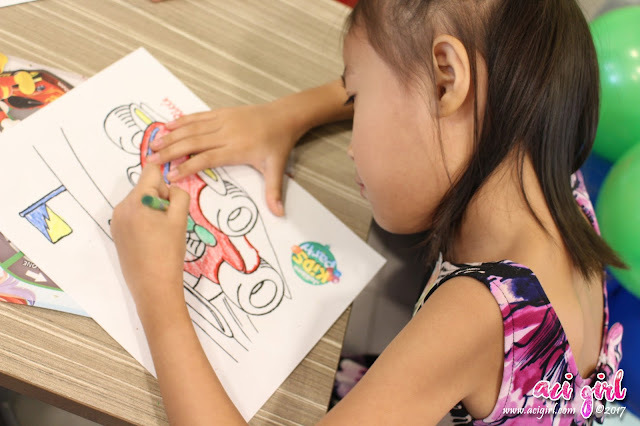 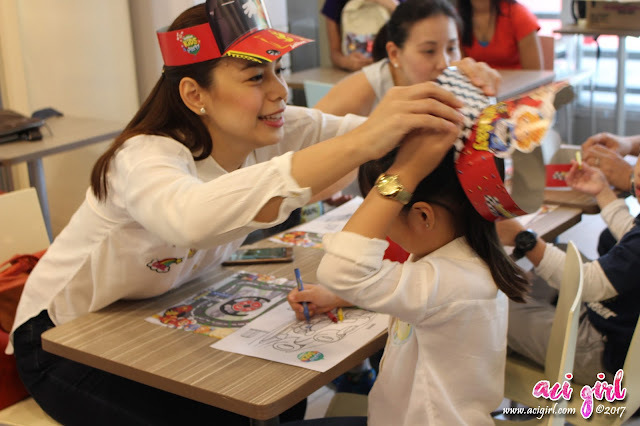 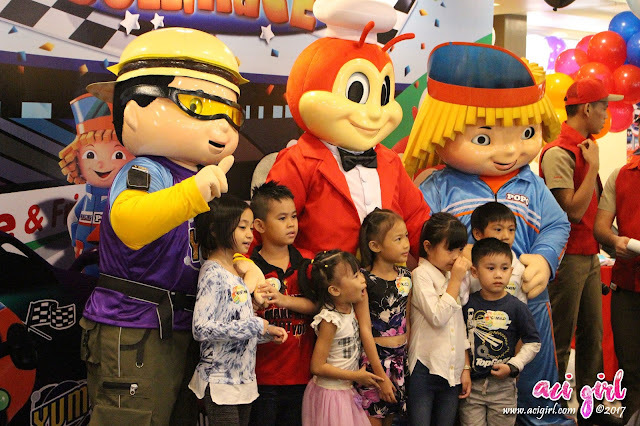 JolliRace, The Newest Kids Party Theme at Jollibee. 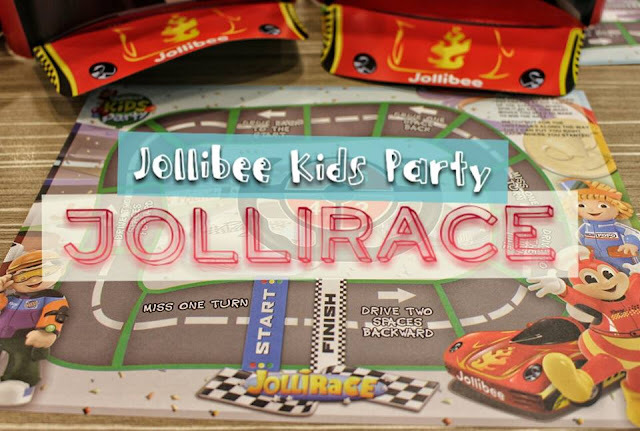 Start your engines, gear up and race your way to Jollibee as they rev up the excitement with JolliRace, the newest and coolest addition to the Jollibee Kids Party. 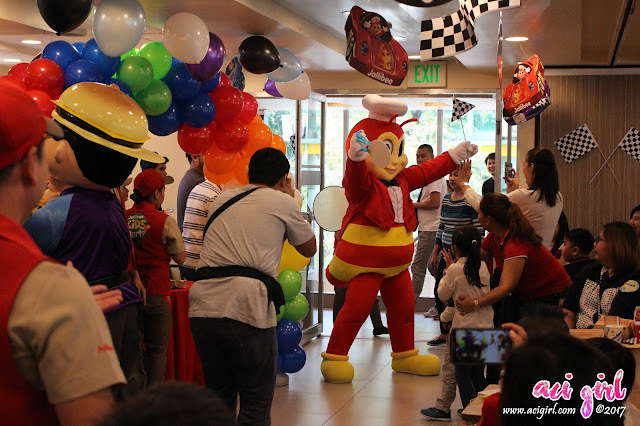 Ms. Charisse welcomes everyone and proudly introduced JolliRace as the latest addition to Jollibee Kids Party Theme. + Party Packages Jollibee has to offer. 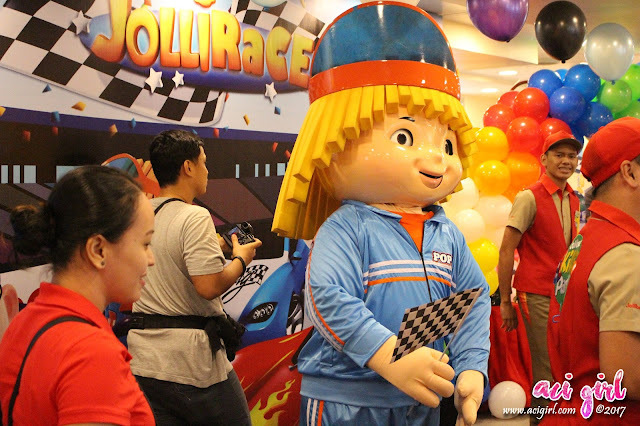 and the newest addition is the JollliRace party. 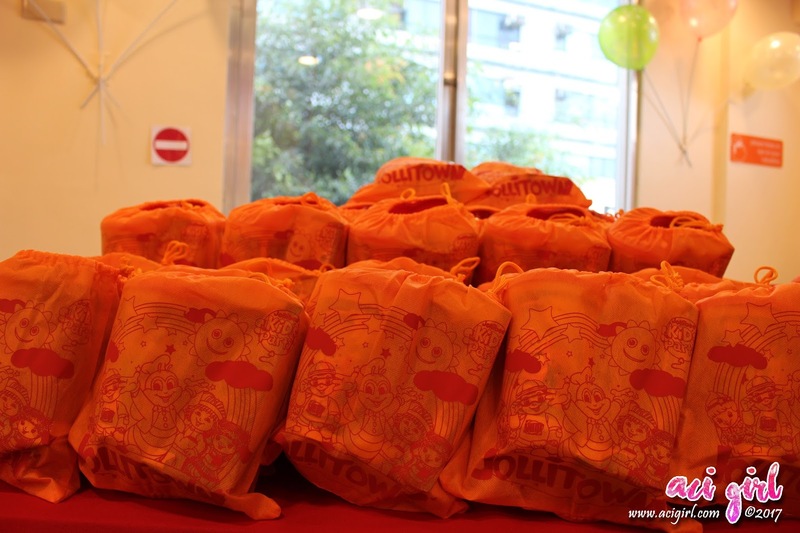 Now, parents can get in the back seat and let Jollibee host the jolliest party experience for their kids. 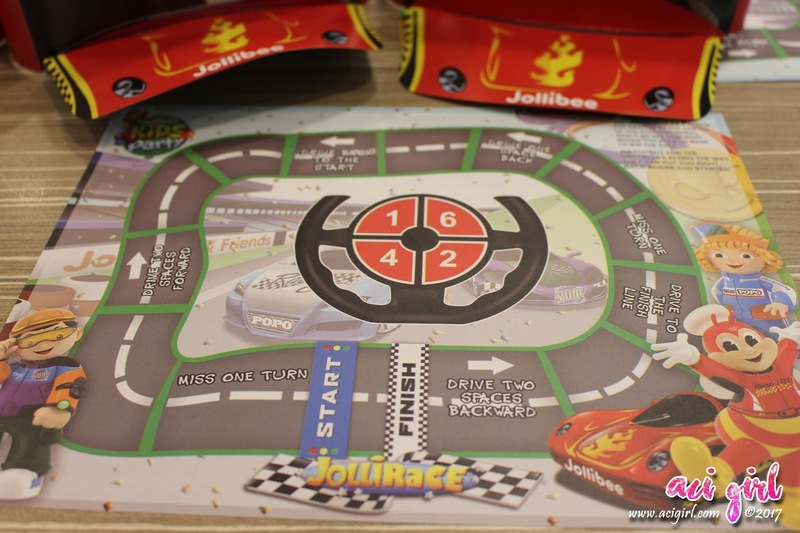 All racetracks lead to a fun, Grand Prix experience with this JolliRace Party Theme. 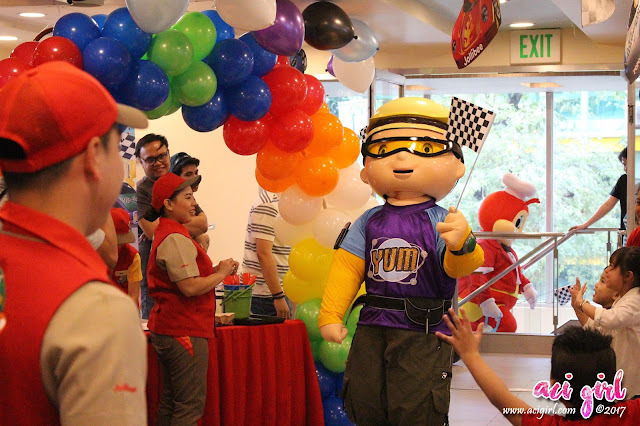 Boys and girls will have a blast on their special day with balloons, relay games, awesome prizes, and a delicious cake prepared to give them a birthday party set at full speed. Jollibee, together with Yum and Popo will thrill party guests in this one-of-a-kind celebration. 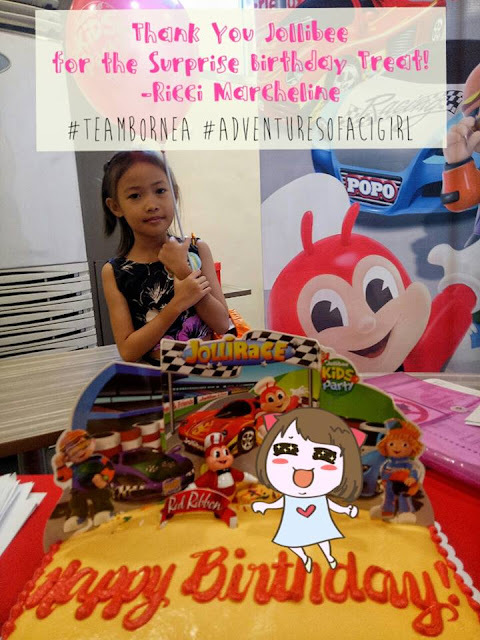 All these, plus Jollibee langhap-sarap favorites Chickenjoy, Jollibee Spaghetti, and Yumburger meals, make the JolliRace Jolly Kids Party a sure winner among kids and kids-at-heart. 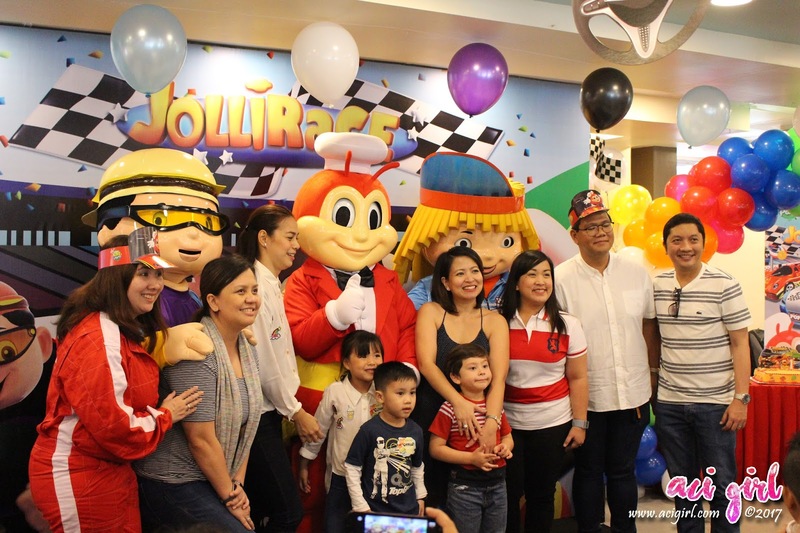 #TeamBornea came for a preview of racing fun at Jollibee E. Rodriguez. I, together with DaddyO, our kids and other media guests did party like champ racers for the JolliRace launch. 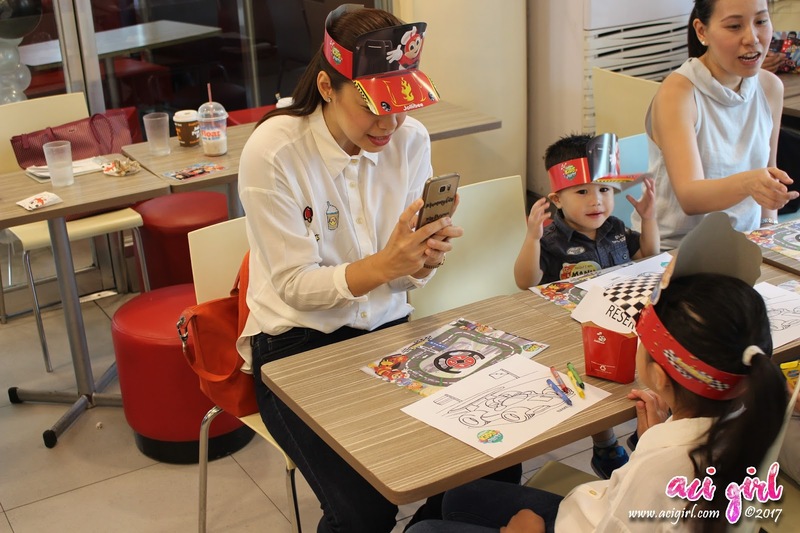 We get to experience the newest party theme for ourselves together with radio personality Delamar Arias with her sons Cooper and Parker, and celebrity mom Bettina Carlos with daughter Gummy and nephew Camilo Marco. 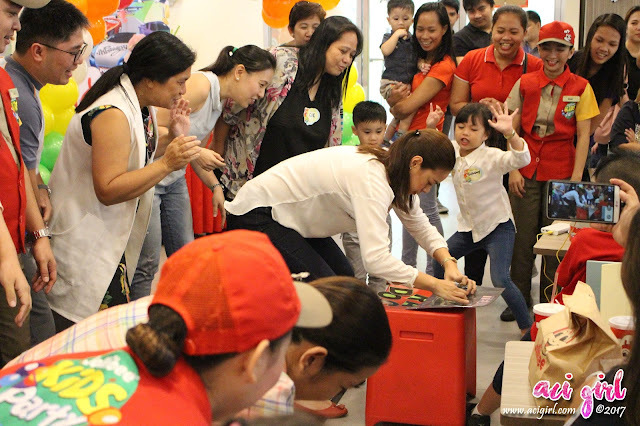 Everyone enjoyed the series of exciting games as well as the race-themed party hats, loot bags, balloons, prizes and other party favors. 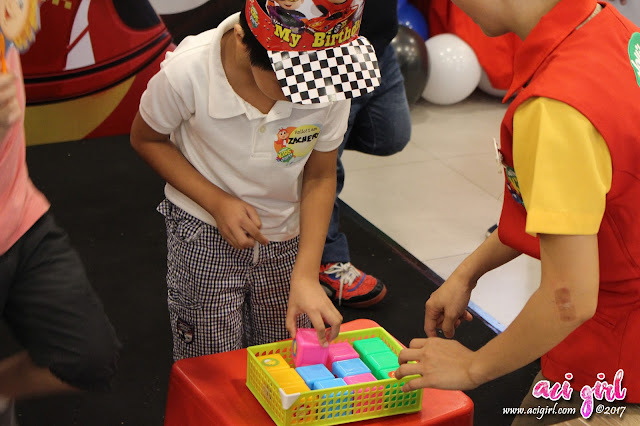 Mechanics: There's a color combination, a pattern to be shown that the kid must remember and recreate via colored blocks. The first player/team to finish wins! 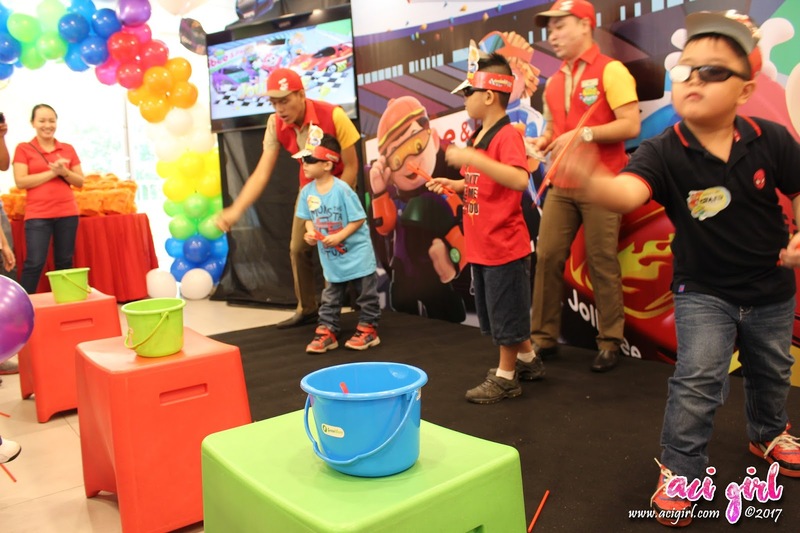 Mechanics: Players will be wearing a specially designed eyewear and must shoot as many straws that they can. The player/team with the most number of straws in the pail wins. 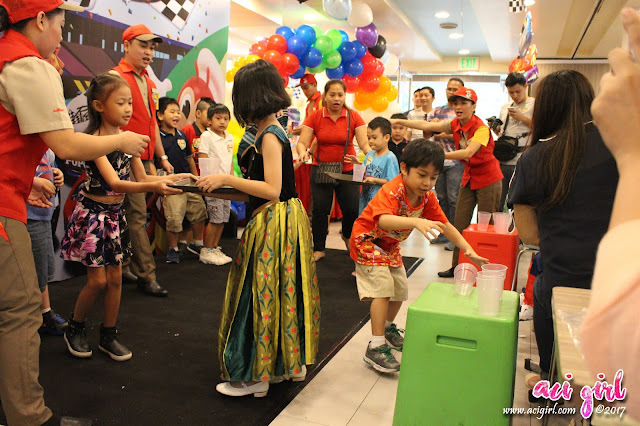 Mechanics: 1st player will have to carry a plastic tray with a cup and have to pass it to the next player, The next player will have to collect another cup and put it on his tray pass in again to the next team member. 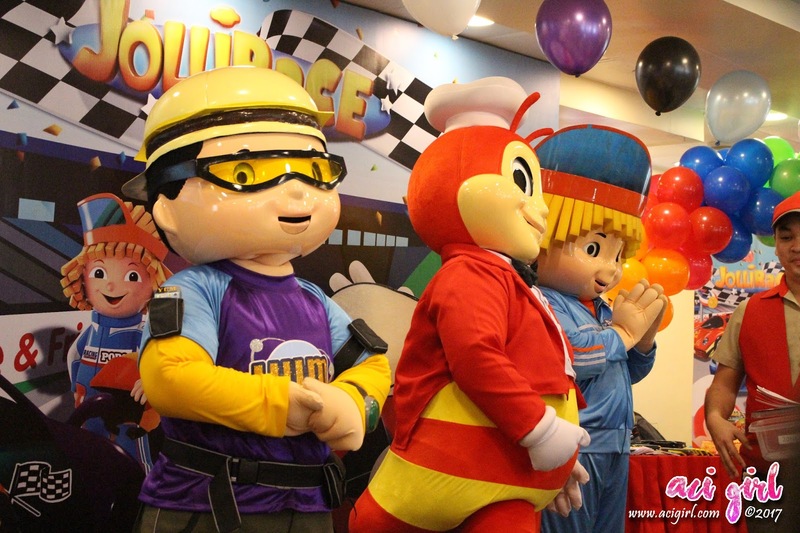 First team to finish wins. 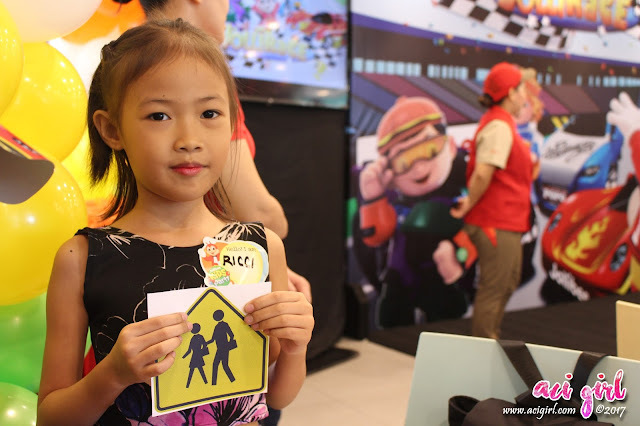 Mechanics: There are road signs found within the party area, the party host will ask for a specific sign, the first one to hand it to the host wins a prize. 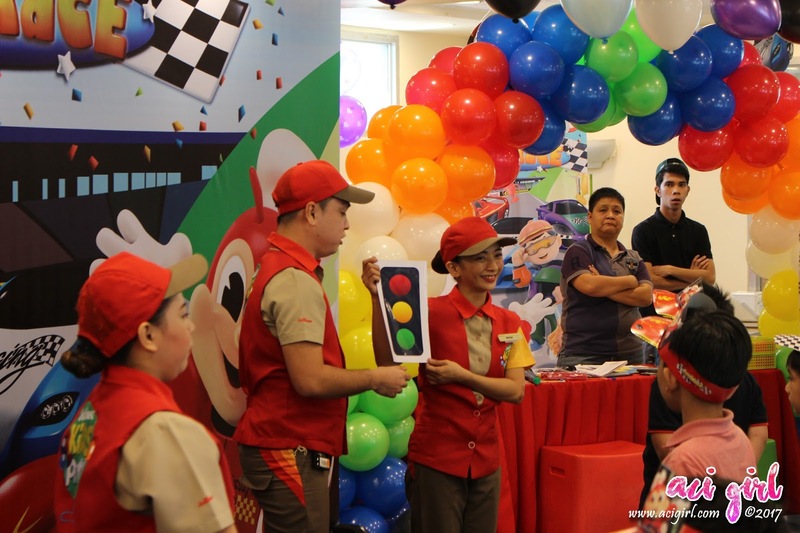 Mechanics: The party host will give out riddles and game participants need to assmeble the letters having the correct word as their answer. 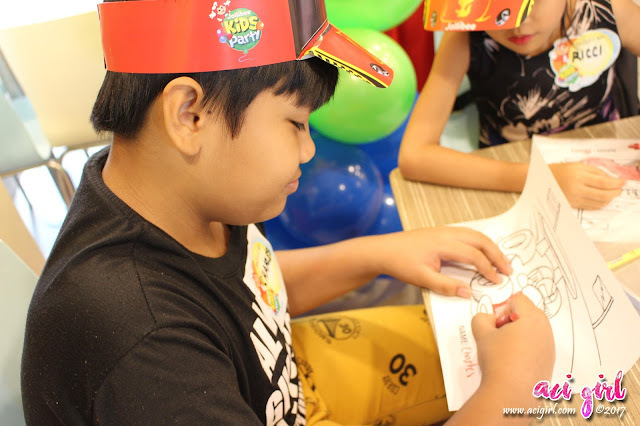 Team with most correct answers and finish first wins. 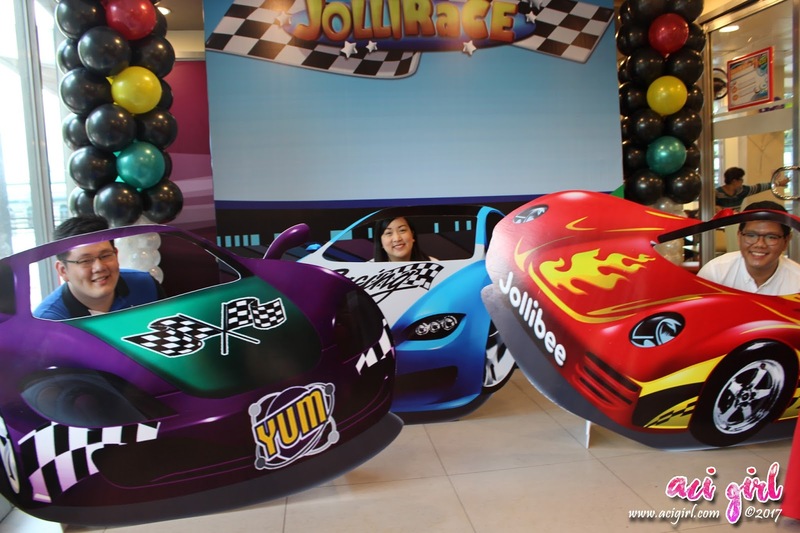 Guests also had a wonderful time posing in front of a photo wall featuring the race cars of Jollibee, Yum and Popo. 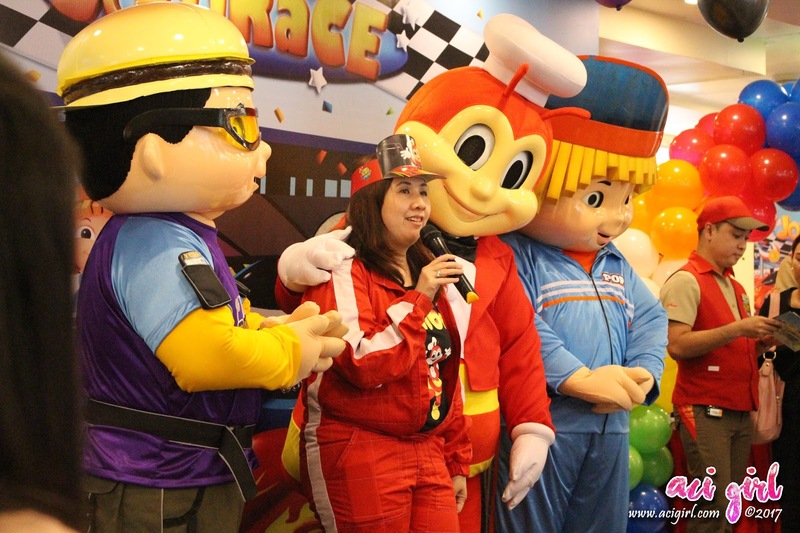 Some guests even dressed up in their racing gear to win in the best in costume contest. 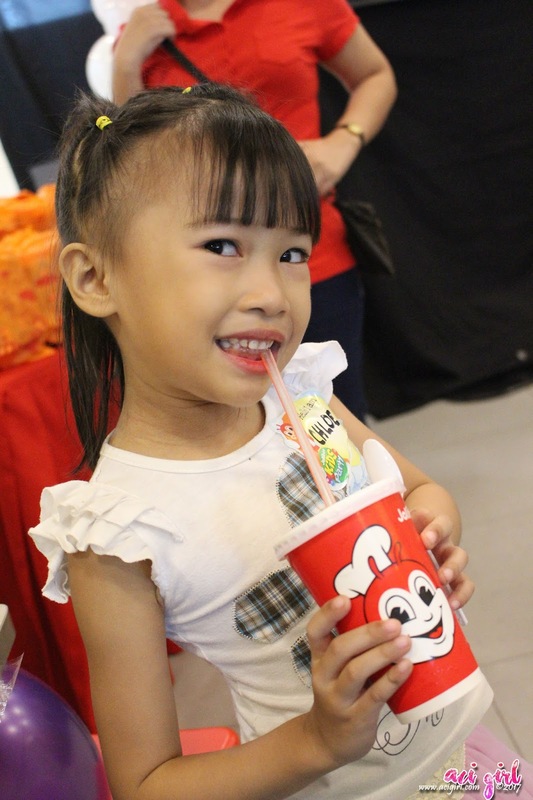 All in all, it was an epic day at Jollibee, with everyone enjoying great packages of langhap-sarap meals with their little ones. 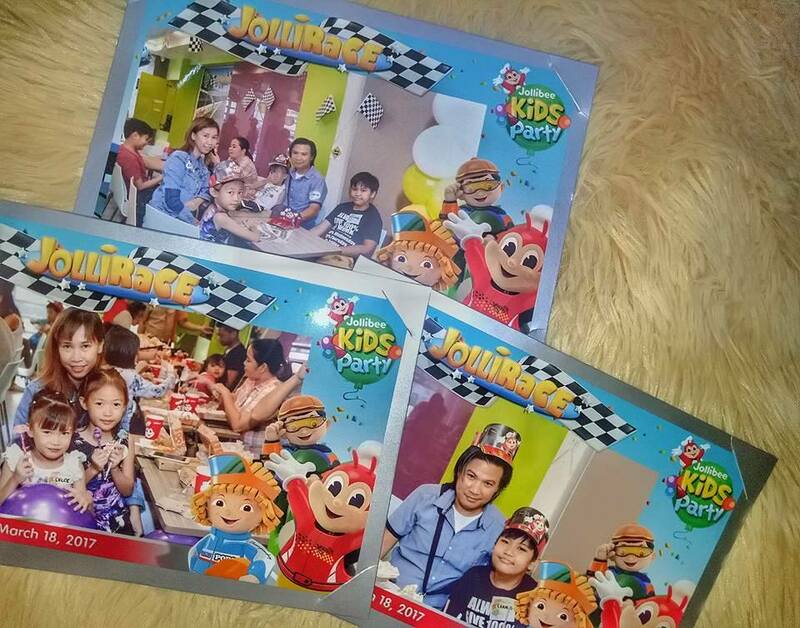 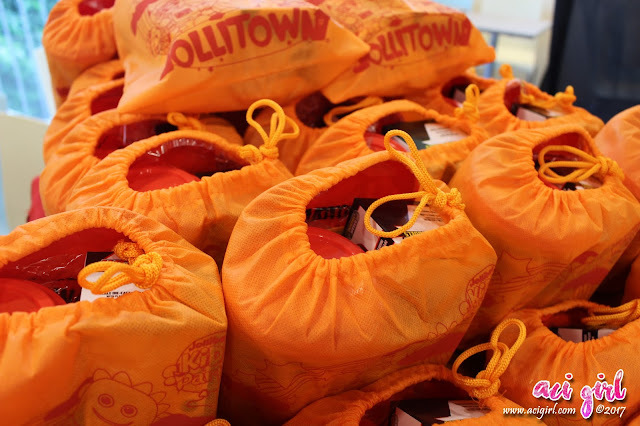 JolliRace guest brought home party goodies to go with their jolly, cool memories. 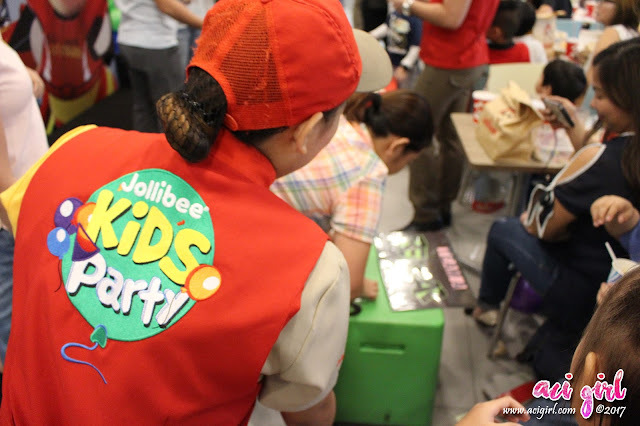 The Jolly Kids Party is available for booking in store or set up in chosen locations.